Drum is one of the most popular instruments in the world. It will take months or years of practice and dedication to master them. Like any other instrument the drums are difficult to learn, as there is more to the drums than just hitting something with a stick. If you get disappointed or discouraged because you can not play them very well, does not t give up, with practice, time and experience you'll get better. Then you can show off to your friends. Learn all the different types of drums. 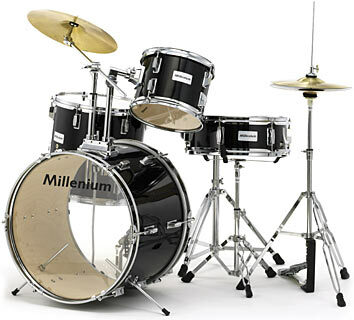 Obviously you will be looking at drums, but there are different kinds of drums that make up a set. Keep in mind that there are different brands, sizes, sticks used and different tunings amongst of other slighter modifications will affect the overall sound of each instrument. Here is a list of drums that you will find in almost every drum set you see. Listen to some of your favorite songs and use a little subdivision such as the 6th or 18th note count and you will see that during a lot of the fills you will hear spaces where there is silence when you are counting. Welcome to the rests. Take a lesson with a local teacher. Enjoy drum lessons! Hmm yeh I'll add video to my next post.Ok I'll check.